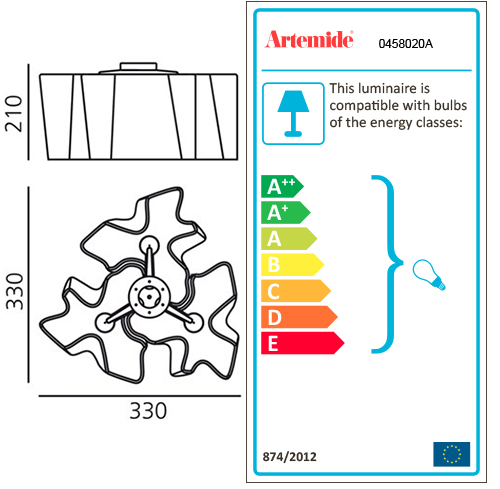 ARTEMIDE LOGICO MINI CEILING 3x120° is a lamp. Diffuser silk, gray structure. Its modular shape lends itself to the creation and realisation of customized compositions, supplied as special project. Bulbs not included, 3x46W Halo o 3x6W LED DIM (E14). Dimmerabile.